Dell's Inspiron Micro desktop is incredibly small and extremely affordable, making it an option for those that want to connect their PC to an HDTV to make it double as a Windows computer. It's useful in this case for browsing the web or streaming media, but its limitations do prevent it from doing much more. This is especially true of the storage and memory. Though great for basic tasks for the average user, the Dell Inspiron 3050 Micro PC won't work well for advanced computing. 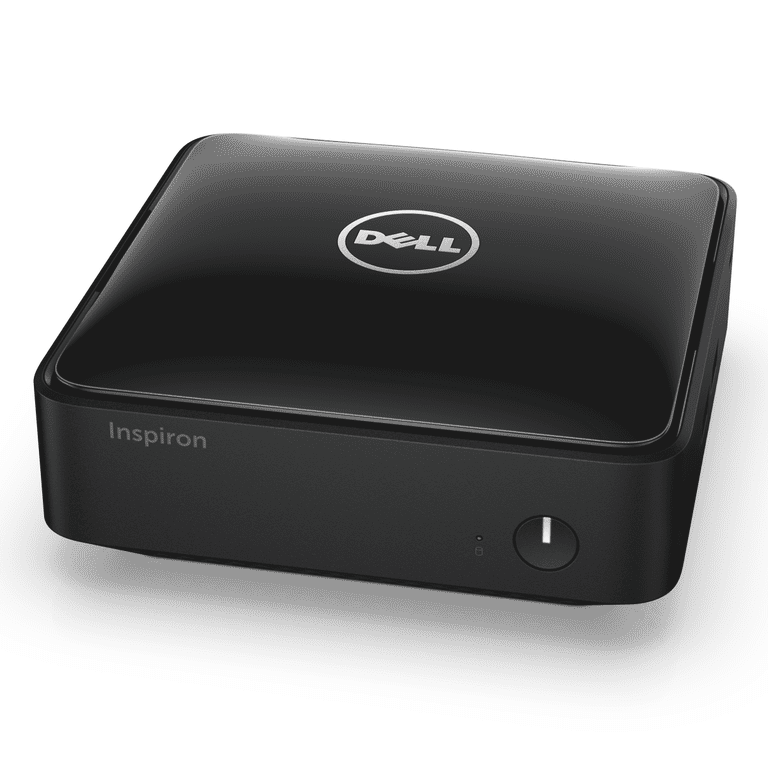 Not to be outdone by HP and its Stream Mini Desktop, Dell has released its own Inspiron Micro mini desktop system. However, it isn't as colorful coming in a standard black box design that measures just over five inches square and roughly two inches tall. Included with the system is a wired mouse and keyboard, but for an extra $20, you can upgrade to wireless peripherals, which is useful if you plan to use it in a home theater setup. It's very similar to the Dell Chromebox but with a slightly different external design that is a bit more rounded, and with the power button on the front rather than top. Powering the Dell Inspiron Micro is the Intel Celeron J1800 dual-core processor. This is a bit of an odd processor as it is designed for very low power consumption, which also means that is a fair bit slower than many other desktop-class processors. However, it is fine for basic computing like browsing the web or streaming media. The problem is that there are just 2 GB of DDR3 memory which means that it is severely restricted if you are trying to do any demanding tasks or multitasking. Even if you upgrade to the quad-core Pentium J2900 processor, it still uses just 2 GB of memory, meaning it is still heavily restricted. While the Inspiron Micro is large enough to fit a small hard drive, because of its low cost, it uses a small 32 GB solid state drive. The capacity, of course, is the big issue - after the operating system, there is hardly any space for applications, data or media files. Users will instead need to rely on local network or cloud storage for their files. The other option is to use external drives. There are four USB ports but only a single side one is the faster USB 3.0, which is best used with high-speed external drives. There is also a media card reader for popular low-cost flash memory cards that can be used to expand storage a bit. One thing that these small systems are not known for is graphics because they have to rely on those integrated into the processor. The Intel HD Graphics built into the Celeron are older and fairly low end. This means the system is not really suited for any 3D applications. However, that shouldn't be a problem for most people that will be using it for basic applications and video streaming. While the system does feature a DisplayPort connector for use with some 4K displays, it does not have the ability to drive such high resolutions. Dell chose wisely when it came to the networking of the Inspiron Micro by including the latest 802.11ac Wi-Fi standards. This means that it supports both the 2.4Ghz and 5GHz spectrum, plus faster speeds. As wireless becomes the more widespread method for connecting desktops to desktops, this is very useful compared to the 802.11n used by most low-cost systems. Pricing for the Dell Inspiron Micro is in line with its primary competitor, the HP Stream Mini Desktop. Both cost around $179 for roughly the same overall features. Both offer limited performance and storage with just 2 GB of RAM and 32 GB storage but HP offers a slightly higher performance Celeron processor. By contrast, the Dell offers better wireless networking. The big difference is that HP offers a more expensive but more capable HP Pavilion Mini that costs just over $320, while Dell restricts the Inspiron Micro to just the base configuration. Dimensions are 5.16" x 5.16" x 2"